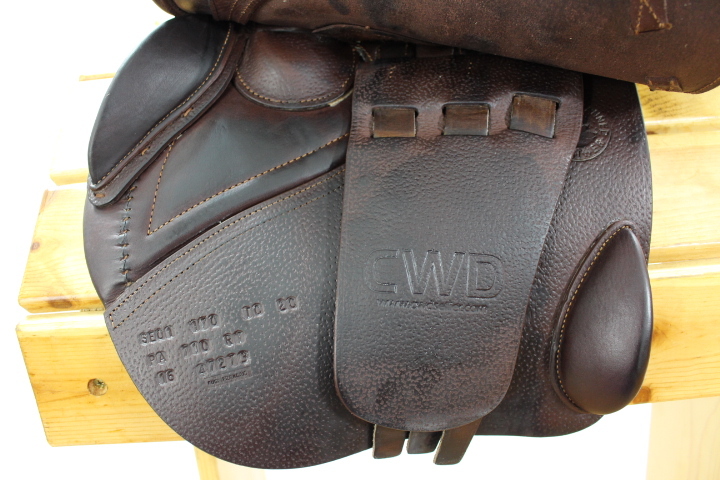 STUNNING CWD SE01 for sale! 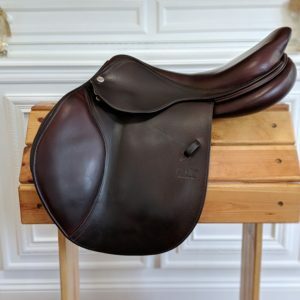 ** ON SALE!!! 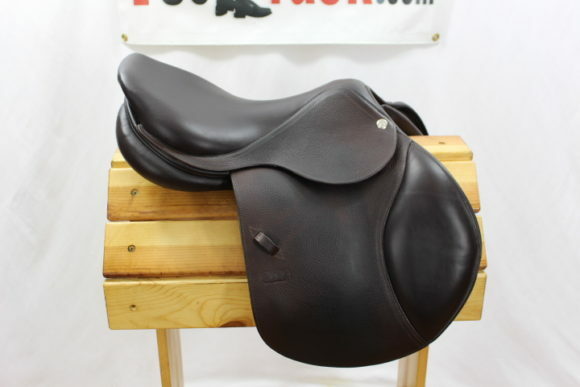 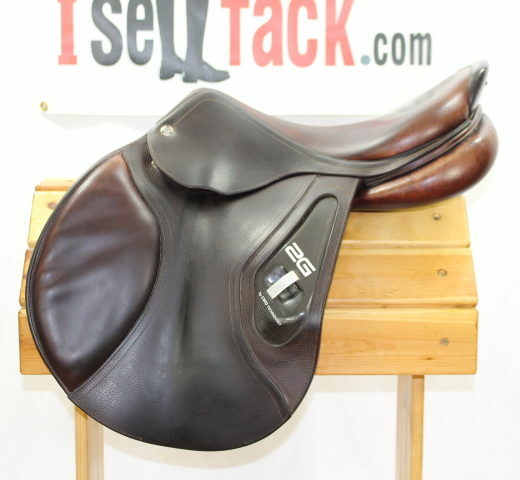 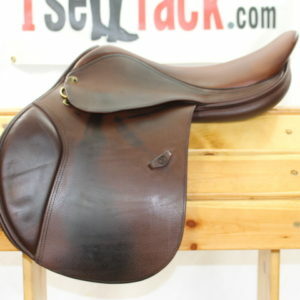 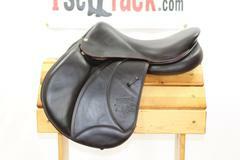 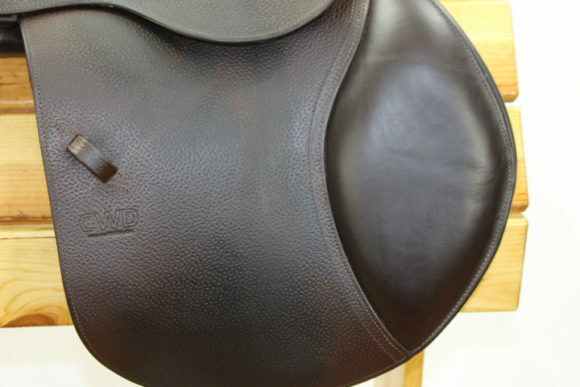 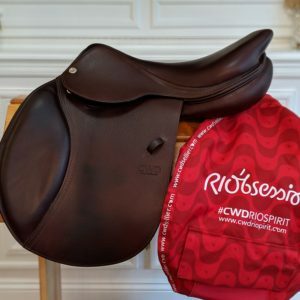 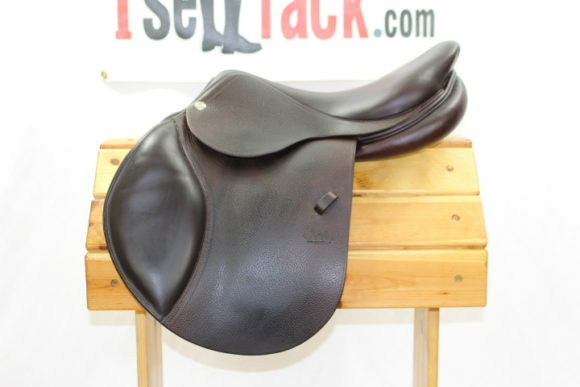 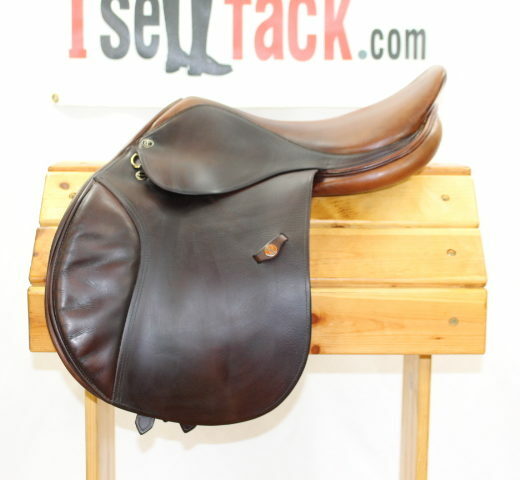 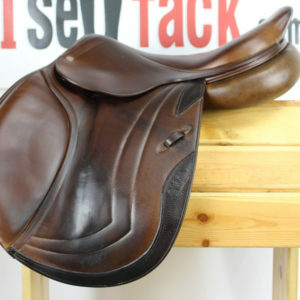 ** Stunning, pristine, practically new, buttery soft and comfy, mint CWD SE01 (flatter seat) for your consideration. One of the most popular brands on the market for a reason! This beauty features a 17″ seat, regular, forward 2C flaps measuring 13.75″ long x 14″ wide. 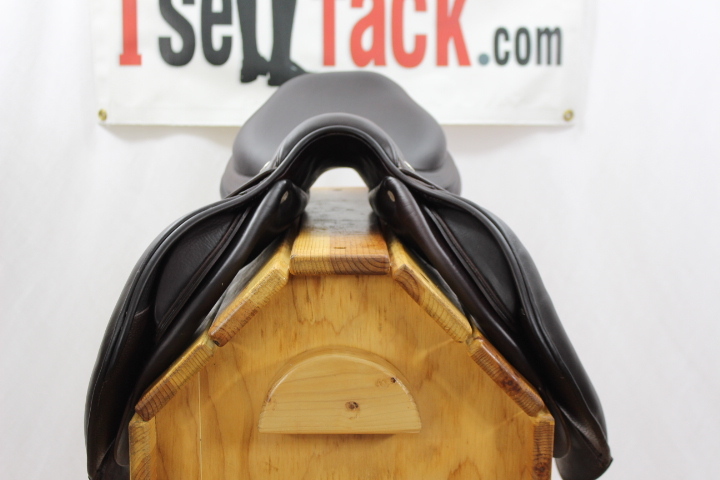 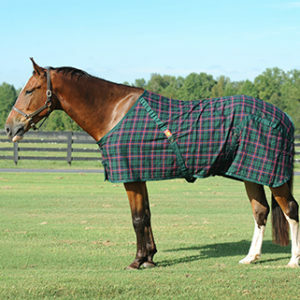 Regular 4″ tree with panels to fit a wide variety of horses. 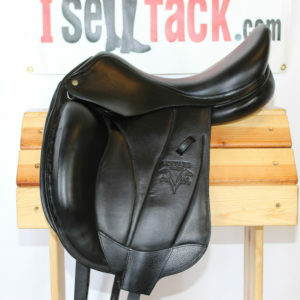 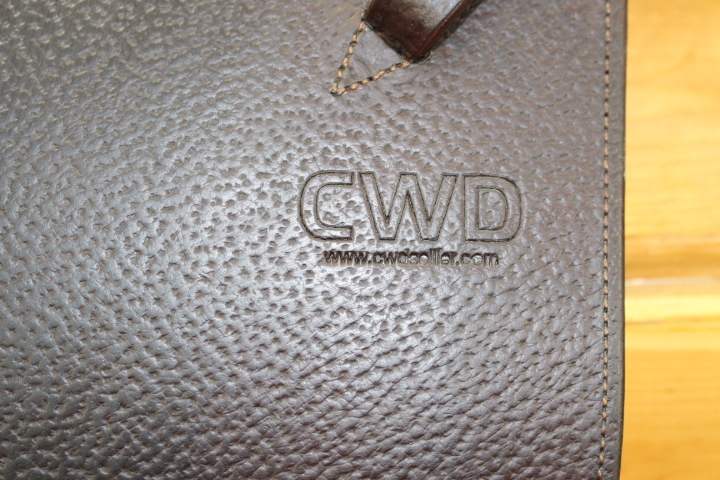 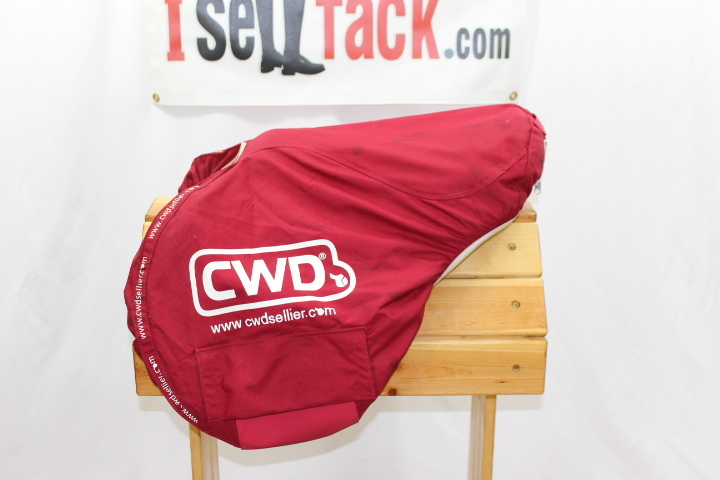 Sells with newer, waterproof, CWD saddle cover. 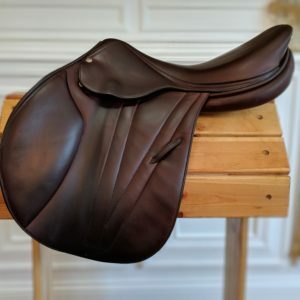 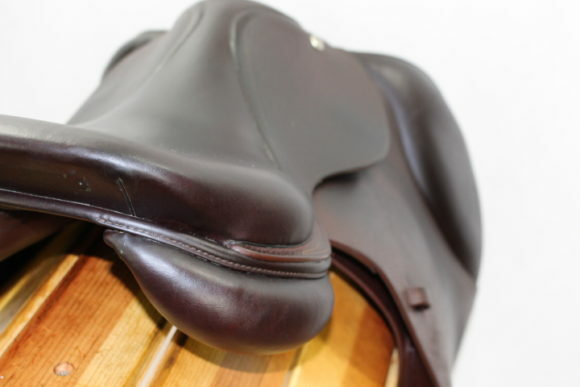 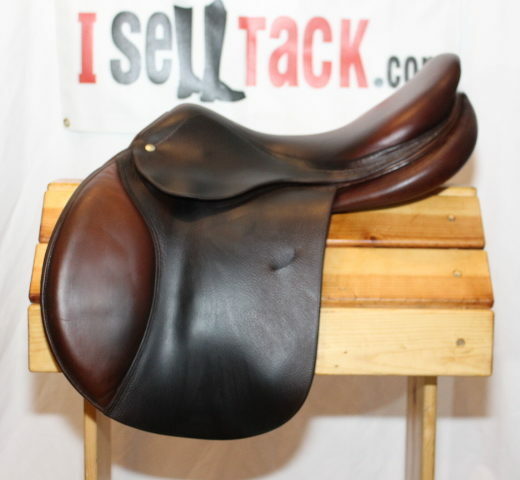 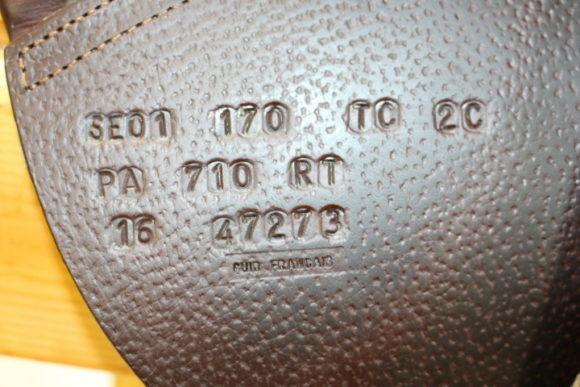 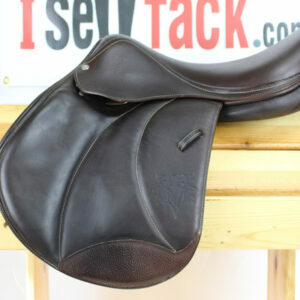 Save yourself the wait and try this lightly broken in, well loved saddle! 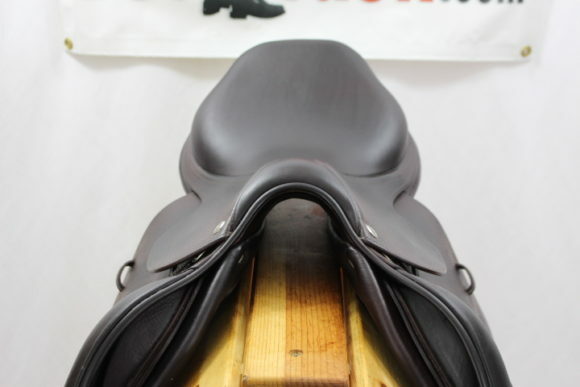 The flat seat Hunter Jumper saddle allows the rider to have a certain freedom in his movements and to change his centre of gravity according to the rider’s style. 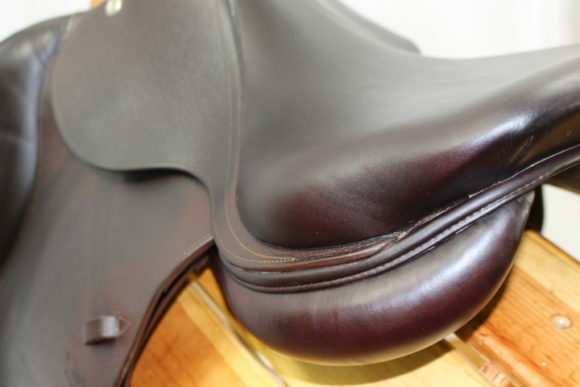 The rider is offered a refined close contact. 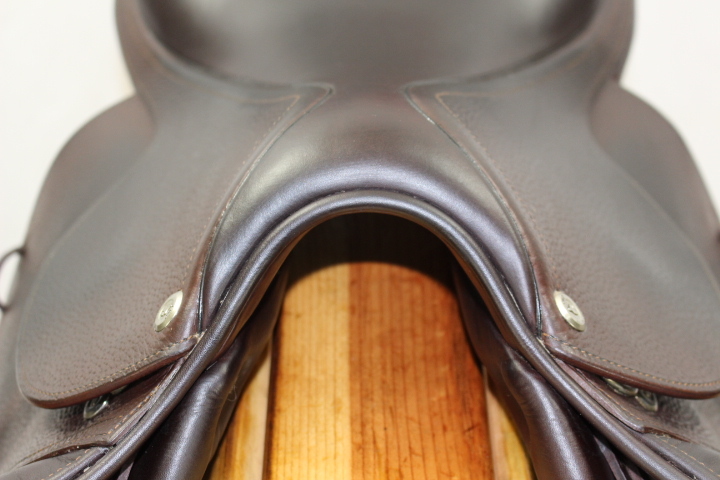 For the horse : The wide panels are concave and integrated for a better pressure distribution of the saddle along the horse’s back. These panels have been studied to be positioned and fixed in such a way that the horse’s spine remains entirely untouched. The three point girthing system ensures the saddle’s stability and good position to prevent from nasty pressure points on the horse’s back whilst moving. The saddle opening is increased around the shoulders to free up the horse’s movements when in action. 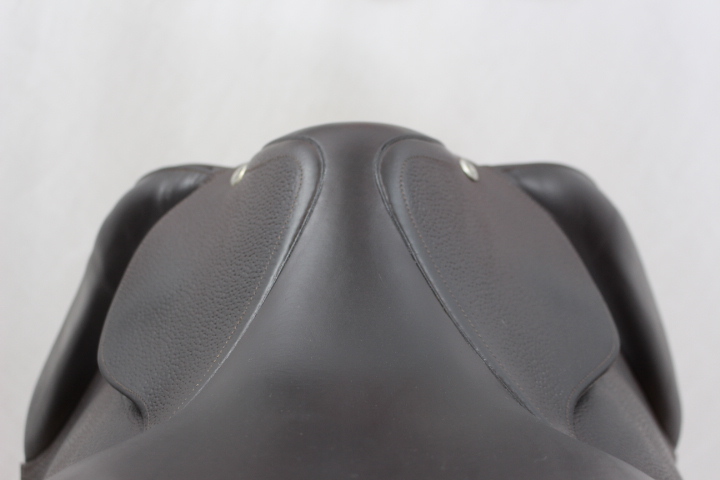 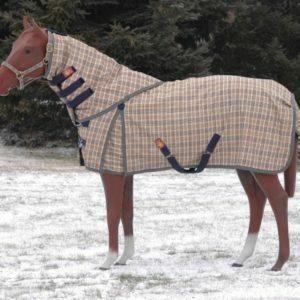 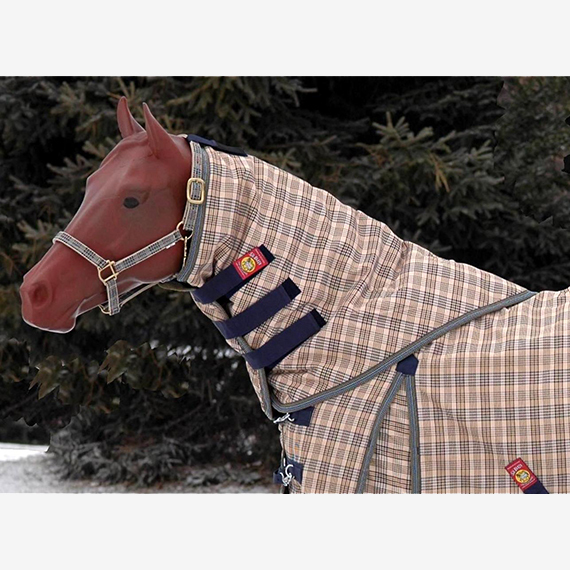 For the rider : The integrated panels offer a refined close contact that enables the rider to have precise actions as he can feel the horse move under him. 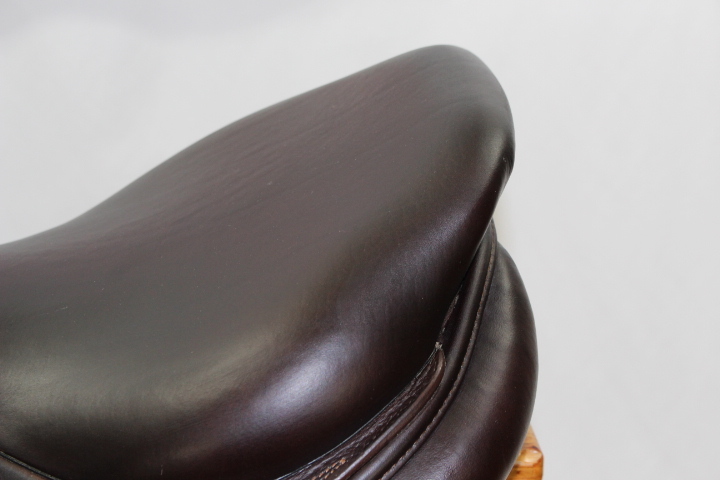 The close contact has been worked on with a lower cut of the saddle flap around the stirrup bars so that there is only one layer of leather under the skirt. 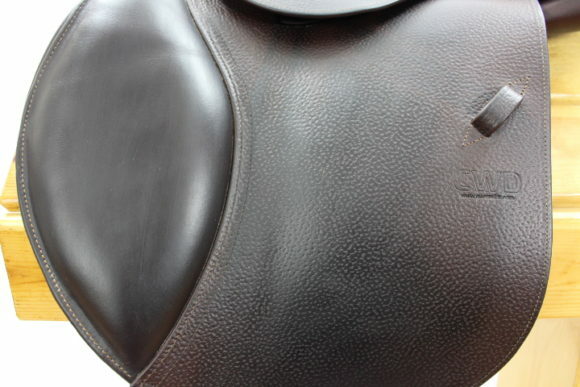 The sweat flap has also been cut higher to contribute to developing the close contact. The stirrup leather surcingles are positioned lower on the saddle flap to reduce the angle between the stirrup, the stirrup bars and the stirrup surcingle, to have less substance under the skirt. 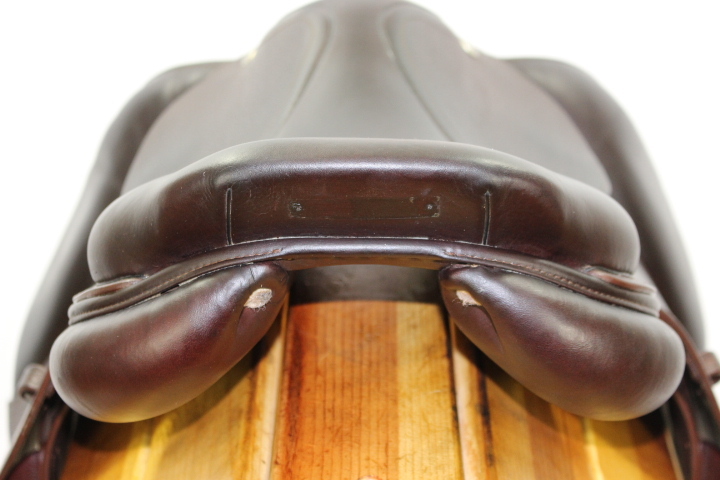 The pommel is widened with a thicker strip of foam that overlaps on both sides of the pommel to support the rider’s abductors. 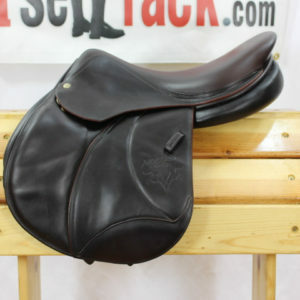 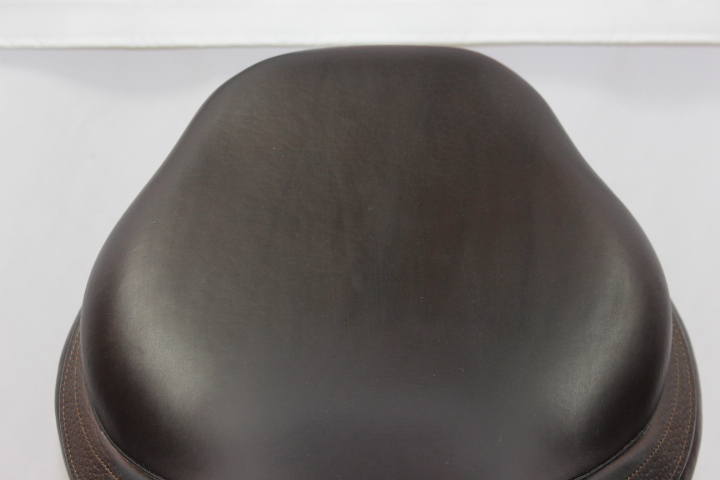 Every cut piece of leather of this high quality saddle has been sanded, dyed, and then varnished for a soft touch. 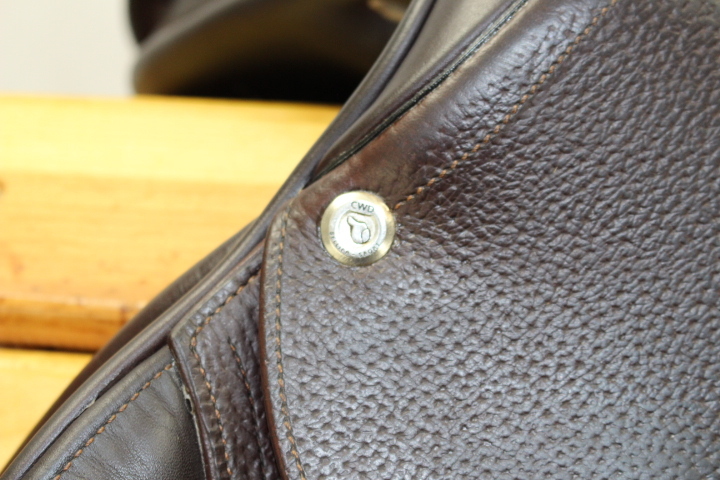 The blocks are fixed onto hard vegetable-dyed leather for a sharp cut without tearing. 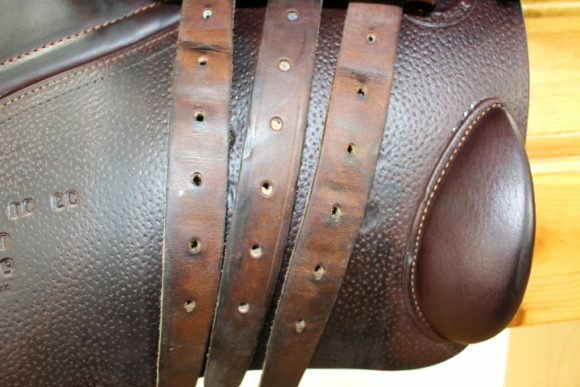 Long buckle-guards are sewn to preserve the underneath of the saddle flap from rubbing with the girth buckles. 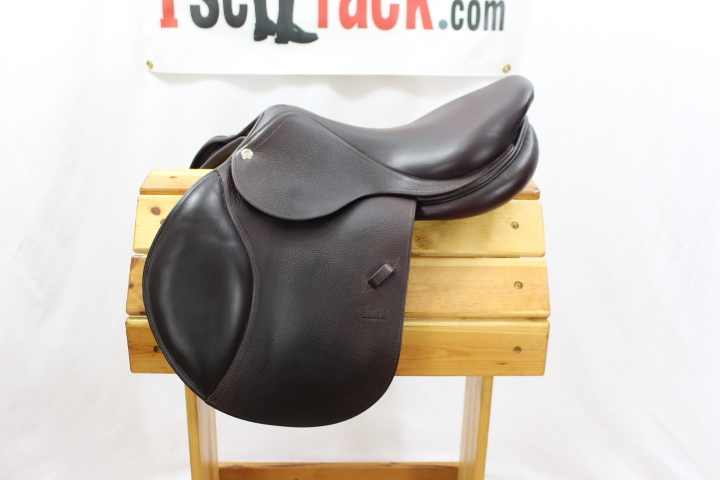 This high quality saddle is made of calfskin and full grain leather that nicely goes smooth with time.